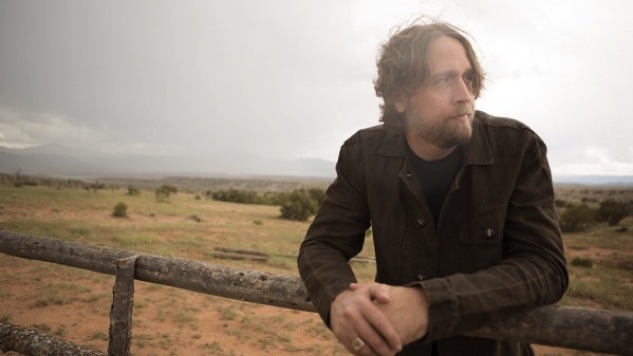 Hayes Carll’s 2011 album KMAG YOYO was his commercial breakthrough, rising to #12 on Billboard’s Country Album chart. As he toured behind that album, his confidence grew with the size of the crowds. For a memorable show at Threadgill’s Beer Garden in Austin, he fronted a crackerjack sextet as he belted out his country-rock singalong, “Stomp and Holler,” with all the swagger the song required. It seemed as if he were on the cusp of stardom, but in reality his world was falling apart. His marriage was collapsing, and he was developing unhealthy habits on tour. It would be more than five years before he released his next recording, and by then all his commercial momentum was gone. On the other hand, Lovers and Leavers was his most ambitious and impressive project yet, tackling subjects such as divorce, fatherhood, self-medication and mortality with sobering smarts. “Good While It Lasted” is as devastating a song of loss and acceptance as you’re likely to hear. Before he could get to the point of releasing his new album What It Is, out tomorrow, he had to solve three challenges. He had to straighten out his personal life so he wouldn’t plunge back into personal turmoil (contrary to glib opinion, you’re not required to suffer for your art). He had to establish regular work habits so he wouldn’t go another five years between albums again. And he had to find a way to balance what his fans liked about KMAG YOYO, while retaining what he liked about Lovers and Leavers. He settled things on the home front by not only getting engaged to Alison Moorer (Shelby Lynne’s sister, Steve Earle’s ex-wife and a major artist in her own right) but also enlisting her as a co-writer and co-producer on the new album. He settled things on the work front by using the Patreon crowd-funding site to launch a song-of-the-month campaign. That allowed him to find the proper balance between “Stomp and Holler” and “Good While It Lasted” one song at a time. The advantages of this approach are obvious. If only a few hundred subscribers are going to hear the results, you can take a lot more chances—in both the songwriting and the production. If something worked, great; you could apply those lessons to the final version on the album. If something didn’t work, you weren’t going to get nailed by the press. The mistake wouldn’t be permanently locked into your official discography. A good example is “Things You Don’t Wanna Know,” which Carll co-wrote with Charlie Mars. The lyrics describe the common phenomenon: family, friends and lovers may insist they want to hear the truth, but often they really don’t. What makes the song work is the way is gently mocks such hypocrisy, while acknowledging what a drag it is. As such, it carefully treads the boundary between jokey and serious, between the templates of KMAG YOYO and Lovers and Leavers. To find an arrangement that walked the same line, he recorded the Patreon version with John Leventhal, Rosanne Cash’s husband and producer. “John played every instrument,” Carll explains, “and came up with a lot of cool parts. I really liked that, so when we had a full band and more resources for the album version, we asked ourselves, ‘What do we like about this? What do we want to change?’” They ended up translating some of Leventhal’s parts to B-3 organ and saxophone. The final version allows the refrain, “Maybe you should stop asking ’bout things you don’t wanna know,” to sting a little even as it gets a laugh. “Jesus & Elvis” grew out of the first-ever co-writing session involving Carll, Moorer and Moorer’s pal Matraca Berg. Berg suggested the title, and Carll suggested that the story be set in Lala’s Little Nugget, a North Austin dive bar he used to frequent. Velvet paintings of Christ and Presley might hang behind the bar, as they often do in Texas. Once again, Carll found the sweet spot between comedy and tragedy. Lines such as “If you need a shot of Dickel or redemption where the Delta meets the Sea of Galilee” are undeniably funny, but the humor is countered by an undertow of sadness for the boy who went off to Vietnam and never came back. By dinnertime the trio of writers had their song, and they shared it with Berg’s husband, the Nitty Gritty Dirt Band’s Jeff Hanna, over beers on the couple’s back porch. Carll recorded a demo at the tail end of one of Moorer’s studio sessions. She and Berg got the file to their pal Kenny Chesney, and the country star put the song on his #1 country album, 2016’s Cosmic Hallelujah. Carll recorded a Patreon version of the song with producer Joe Henry. It was a more subdued version than Chesney’s, but the arrangement was altered again for the What It Is sessions. Carll and his producers (Moorer and Brad Jones) changed some chords and added a honky-tonk interlude, a Salvation Army Band section and a Moorer vocal harmony to strike an optimal balance of funny and sad. Something similar happens in “None’ya,” which takes its title from one of Moorer’s signature Alabamaisms, “None’ya business.” The first time he heard it, Carll knew he had to include it in a song, perhaps a song about how you can love someone even when you’re constantly sparring with them and being told, “None’ya business; don’t you ask no more,” even when they’re painting the porch turquoise to ward off evil spirits. It’s romantic comedy, Americana-style. “I was sitting at a table,” Carll recalls, “trying to write the song, and she said, ‘What’re you doing?’ I said, ‘I’m trying to write a song about you and I’m stuck.’ She said, ‘Why don’t you talk about why I paint the porch turquoise? Or about how we pretend we don’t know each other on airplanes. ?’ Those were just the kind of details the song needed. I’m a big fan of details, things that are quirky, that stick in the listener’s ear. The album opener, “None’ya,” is part of a trilogy of love songs, a genre he’s rarely tackled before. The album closer, “I Will Stay,” is a lovely chamber-pop ballad, reassuring a lover that the singer will always be there. In between, “Beautiful Thing” describes Carll’s and Moorer’s recent years living in New York City. It mentions their May 12 wedding, but that’s a red herring. They are getting married this year, but Carll declines to divulge the real date. In the meantime, they’re moving to Nashville to live there full-time. Carll co-wrote nine of the dozen songs on the new album, and he’s getting more comfortable with the process as he’s about to move to the capital of co-writing. The trick, he says, is doing the prep work. If you pull some ideas together before you go into a session, you’ll have something to work on, and the whole thing will be a lot more productive. If Lovers and Leavers documented Carll’s former life flying apart in pieces, What It Is documents his process of reassembling those pieces into a new family, a new stage of his career, a new life. “What it was is gone forever,” he sings on the album’s bouncy, banjo-driven title track. “What it could be God only knows. What it is is right here in front of me, and I’m not letting go.” What it is is a musical approach that scales back the high drama of Lovers and Leavers and integrates it into the slippery funny/sad approach of his earlier work.